Wunderland Category 6 article: CSU projects a slightly above-average 2018 Atlantic Hurricane Season. A slightly above-average Atlantic hurricane season is likely in 2018, said the hurricane forecasting team from Colorado State University (CSU) in their latest seasonal forecast issued April 5. Led by Dr. Phil Klotzbach, with coauthor Dr. Michael Bell, the CSU team is calling for an Atlantic hurricane season with 14 named storms, 7 hurricanes, 3 intense hurricanes, and an Accumulated Cyclone Energy (ACE) of 130. The long-term averages for the period 1981 – 2010 were 12 named storms, 6.5 hurricanes, 2 intense hurricanes, and an ACE of 92. The CSU outlook also calls for a 63% chance of a major hurricane hitting the U.S. in 2018 (long term average is 52%), with a 39% chance for the East Coast and Florida Peninsula (long term average is 31%), and a 38% chance for the Gulf Coast (long term average is 30%). The Caribbean is forecast to have a 52% chance of seeing at least one major hurricane (long term average is 42%). 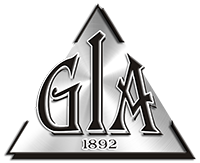 At GIA, we are proud to take part in our community. Follow our journey and connect with us for special events, news, and updates!